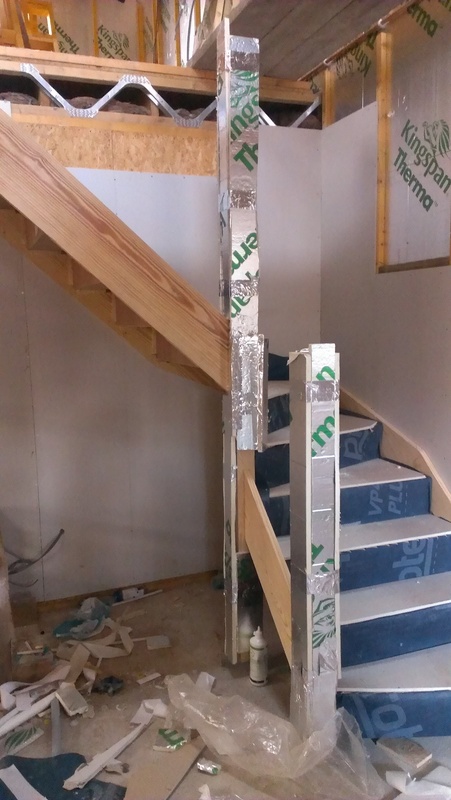 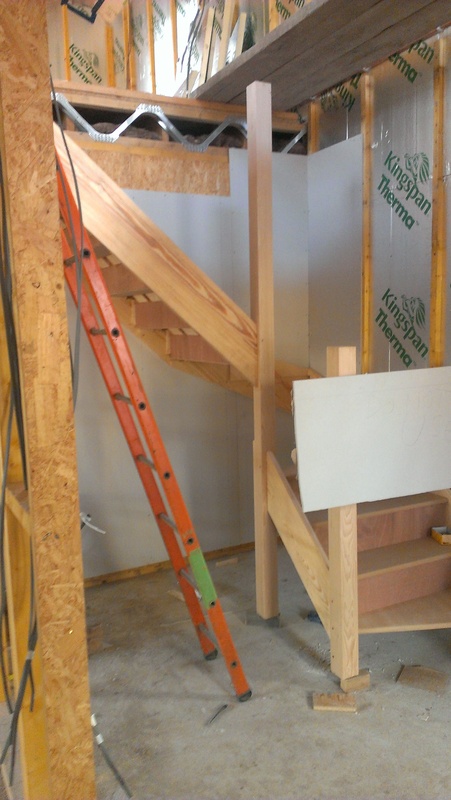 Stairs go in to Plot 6 and start made on the insulation between floors. 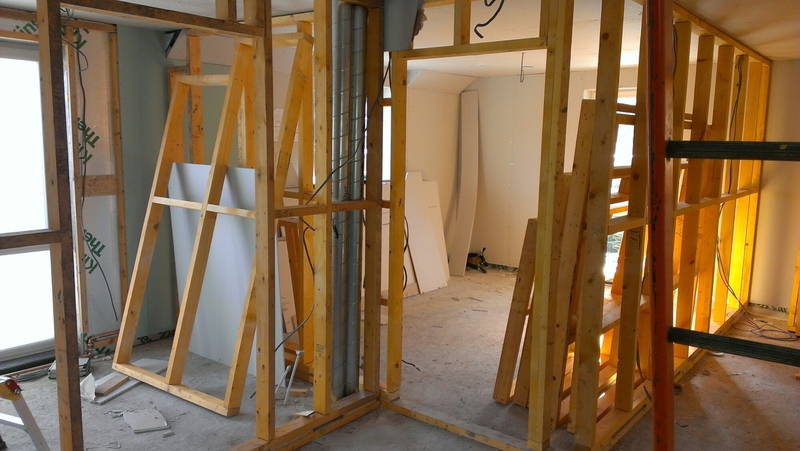 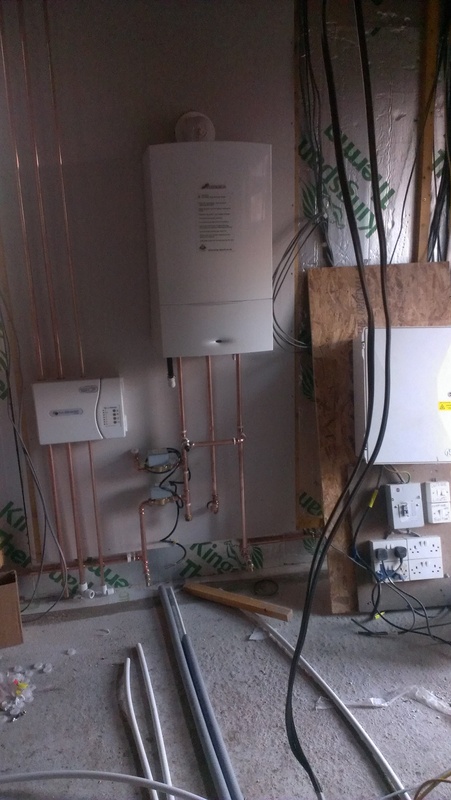 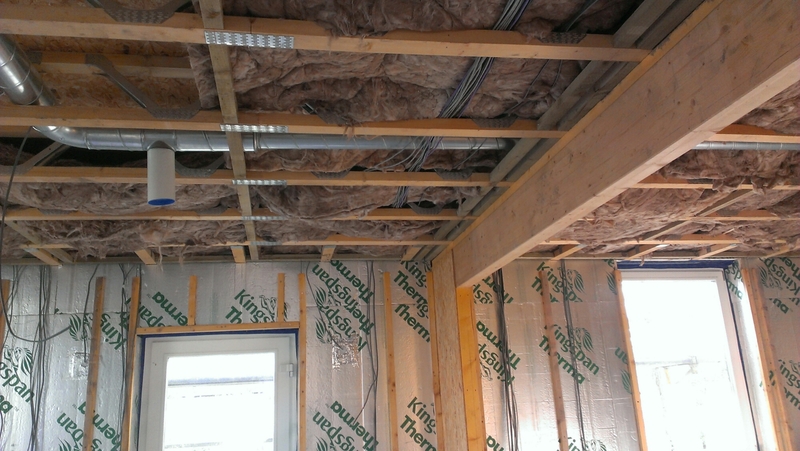 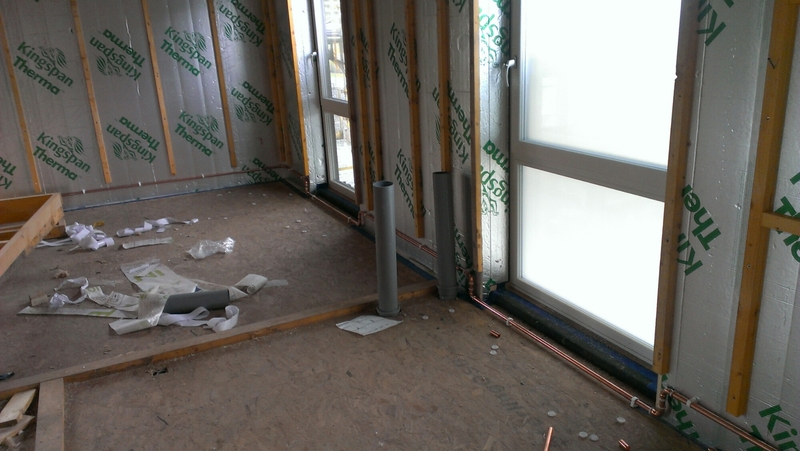 Plumbing and electrics first fix is well under way. 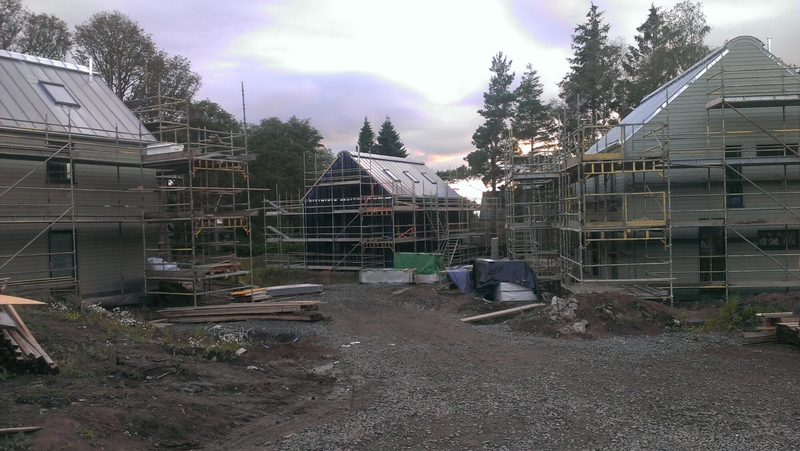 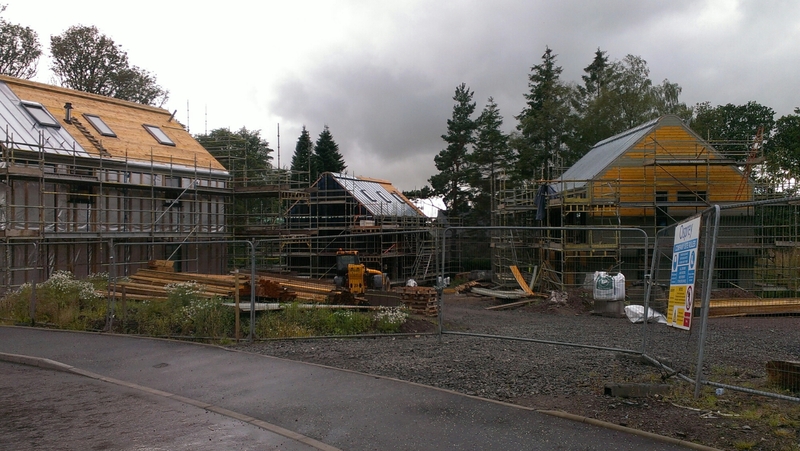 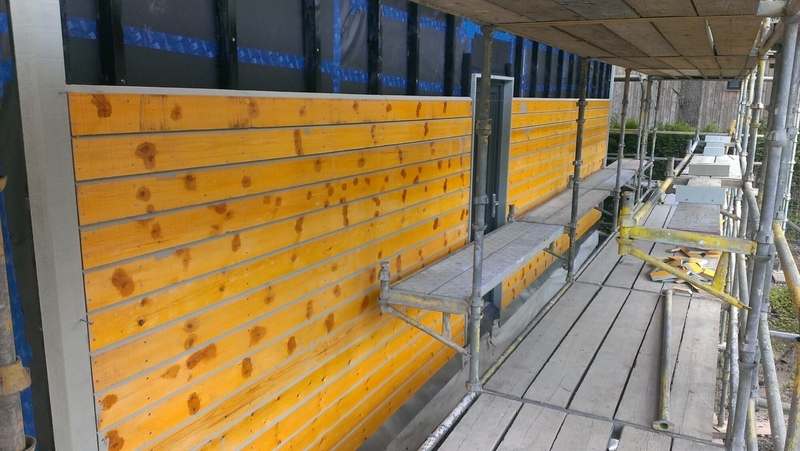 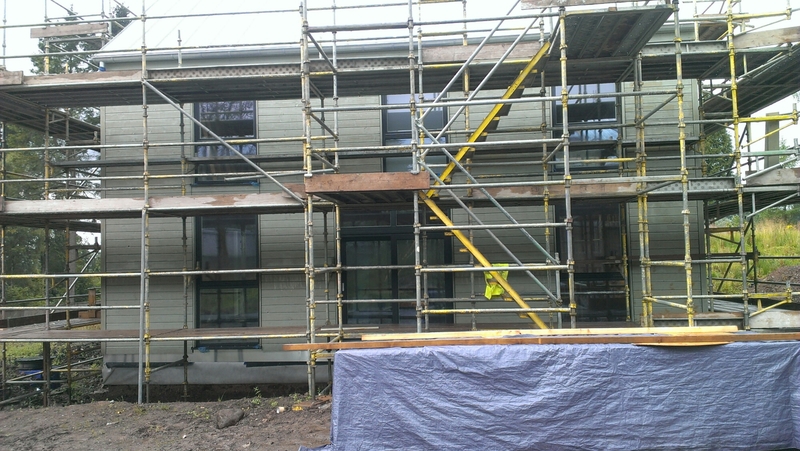 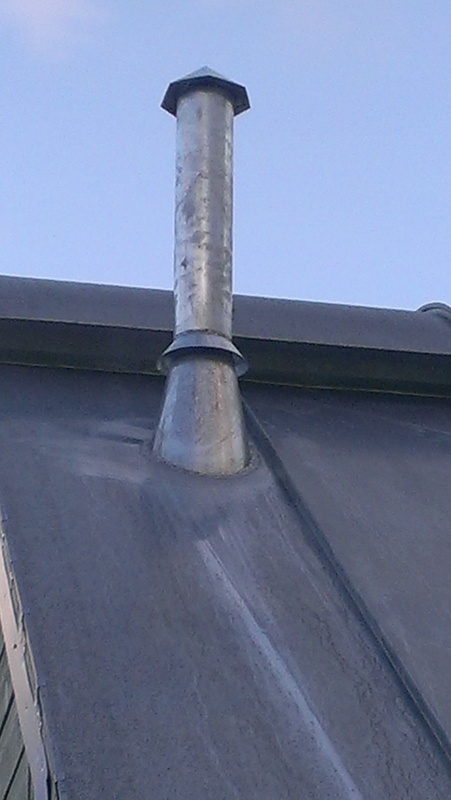 Plot 6 with roof complete, cladding on and first coat of paint done.